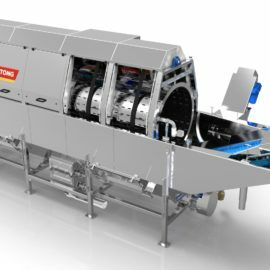 Built with efficiency, reliability and ease of maintenance in mind, Tong’s proven barrel washer design has been enhanced with a number of new and advanced features as standard. 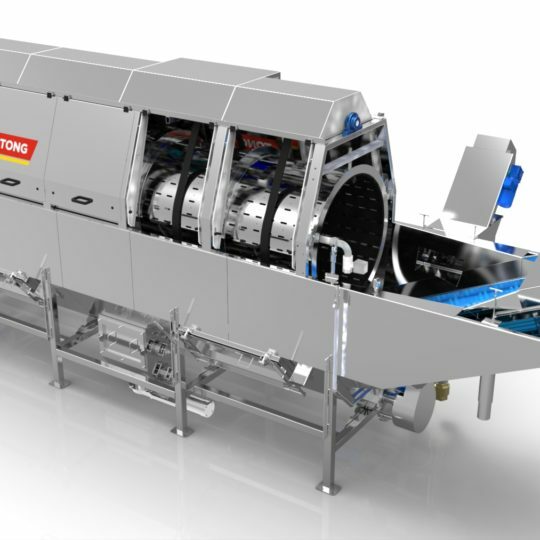 Suitable for washing a wide range of root crops, Tong’s potato and vegetable barrel washer is most popularly used for efficient and gentle potato and carrot washing, as well as effective washing of parsnips, celeriac, sugar beet, swedes and more. 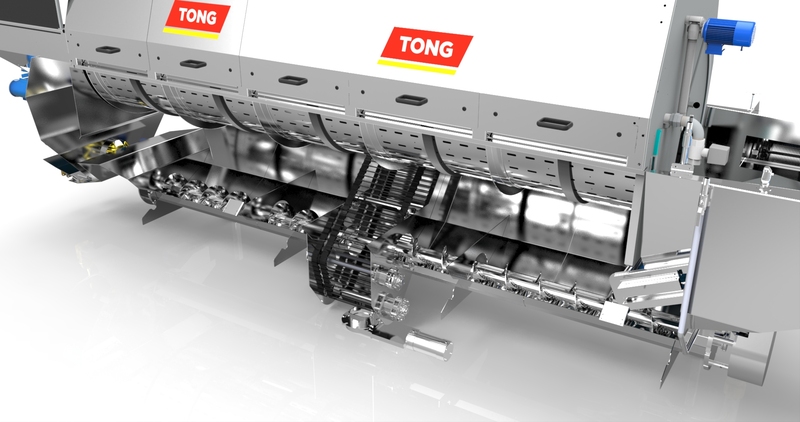 Tong’s Blue Inverter Technology continues to play a pivotal role in ensuring maximum energy efficiency and minimal maintenance on Tong barrel washers. One of the key advances in the new barrel washer design is a new direct-drive, inverter-controlled barrel drive shaft with heavy duty coupling. 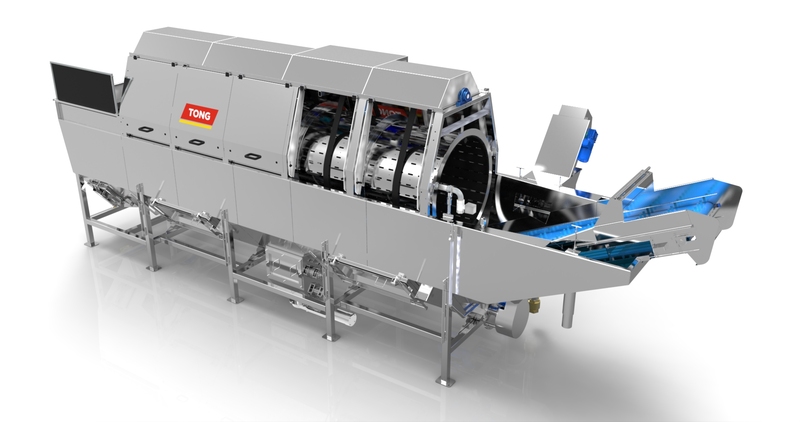 For more information on Tong’s wide range of potato and vegetable washing equipment, click here.